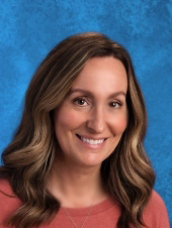 Tiffany became part of the Meadow community in 2014, when her youngest child enrolled in Lower Elementary, and she joined the staff with the start of the 2016 school year. A Florida native, Tiffany moved from the Gulf Coast to Monroe, Michigan in 1995. She fell in love with the The Mitten and never left. She’s known as “Mom” to four pretty spectacular human beings, a surly mini-schnauzer, a chronically overfed cat, and a motley assortment of goats, fowl and the occasional barn cat. Tiffany lives on a small farm in rural Washtenaw county and enjoys spending her free time sitting back and marveling at the sheer amount of work to be done. Tiffany Mason can be reached at tmason@meadowmontessori.org.